TOTAL FLANKER...a rugby blog: Flatman for England! 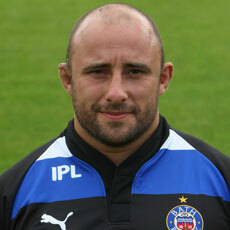 It's official - this blog likes David Flatman. Not only is he, in this blog's humble opinion, the best loosehead prop currently available to England, he is also the complete anecdote to the usual anodyne, cliché-ridden, ghost-written player columns regularly to be found in the national newspapers. No platitudes, no banalities and no spin, Flatman's articles in The Independent are witty, insightful and bordering on Clarkson-esque. H'absolutely! As a long-time Sarries fan, I was sorry to see him go back in '03/4, and don't understand why England don't pick him! Or indeed why they keep picking Tim Payne. Nothing against the guy, but he's not dynamic in the loose and not powerful in the scrum. Flats at least has an off-loading game to speak of and doesn't suffer in the tight. Why isn't he in there?! Anybody who is a prop-particularly a loose-head is alright with me!